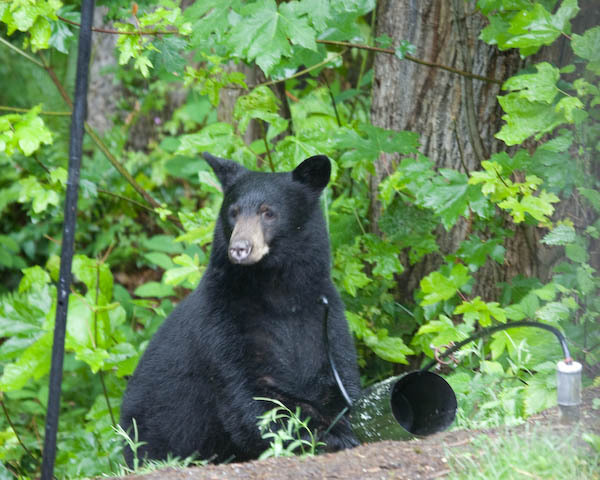 A Black Bear in Our Yard! 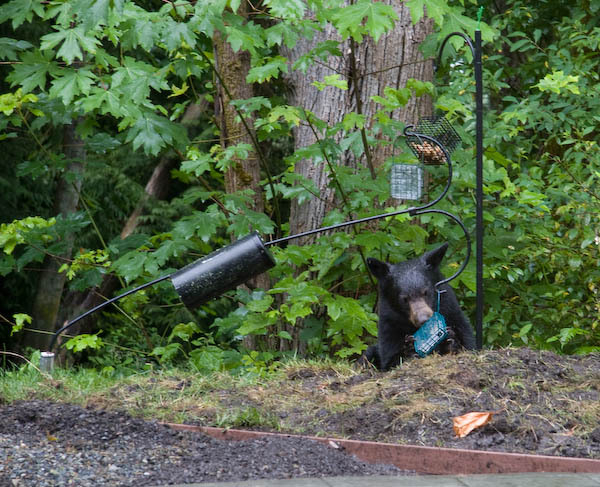 This bear emerged from the woods as we were finishing breakfast on July 16, 2011. There had been other signs he'd been here before, but nothing so dramatic as this. 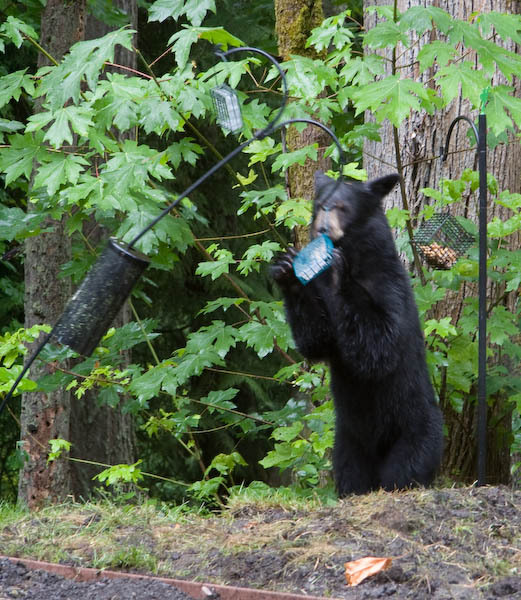 He sniffed briefly at a peanut feeder (behind him in this photo), then went after the suet feeder. 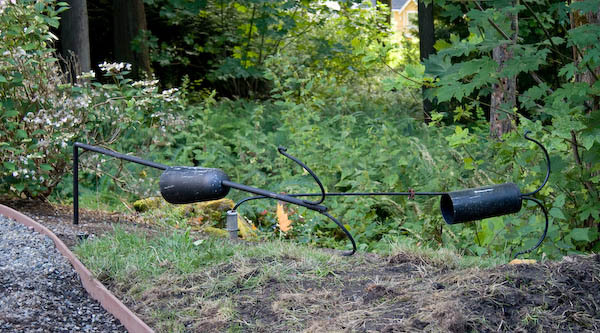 You can also see another pole with two seed feeders. He started pulling, and the metal pole bent amazingly easily! After successfully extracting the first suet feeder and disappearing into the woods, he came back several minutes later for the other one. The poor little guy must have been pretty hungry; they were both basically empty. As we were upstairs downloading photos, we heard a clank! 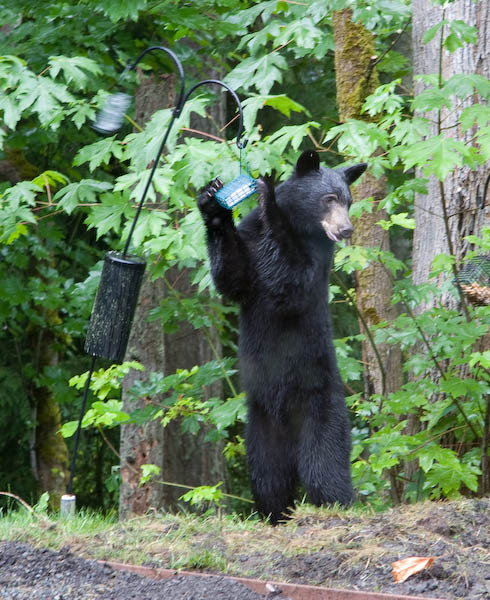 and looked out to see that he had pulled on a seed feeder and bent the other metal pole. He sniffed the two seed feeders it had been holding, then walked away disappointed. Tom went out to retrieve them after he left, with Cathy acting as lookout. The sad aftermath. 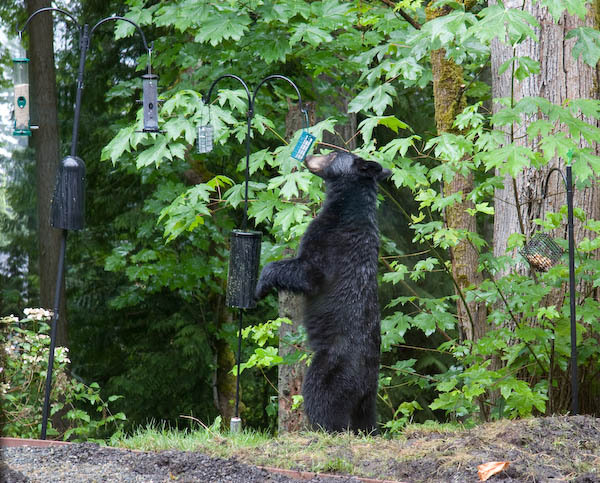 This is the first time in 9 years here that we've had an issue with a bear, but it looks like we'll need to rethink the bird-feeding strategy. Update... on August 2, the bear returned. Update... on September 29, we saw the bear again.